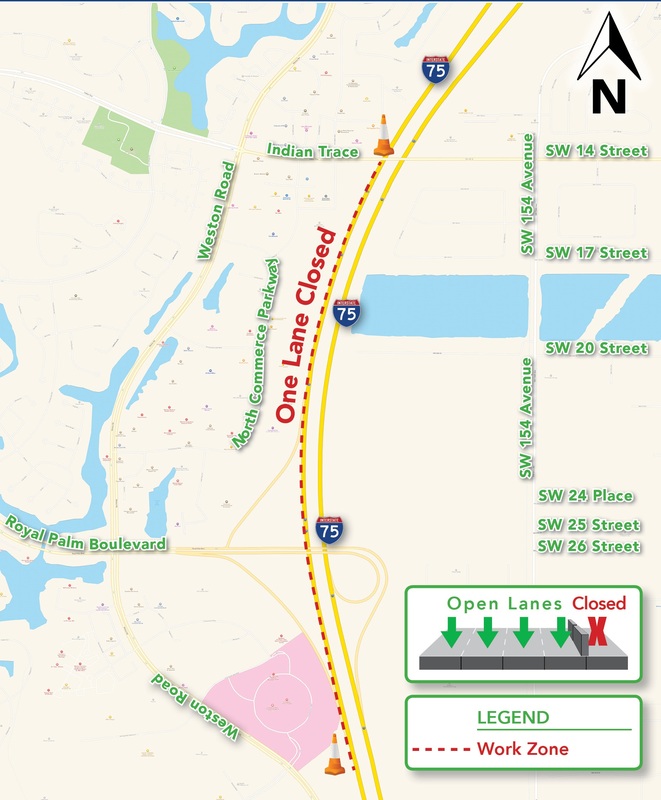 The Florida Department of Transportation (FDOT) is scheduled to close one southbound lane along I-75 from south of Indian Trace to south of Royal Palm Boulevard to allow crews to build the connection from southbound I-75 to the future Express Lanes. In order to perform this work safely, the inside lane (left lane) will be closed continuously beginning at 8 p.m. Wednesday, April 13 to Thursday, April 28. 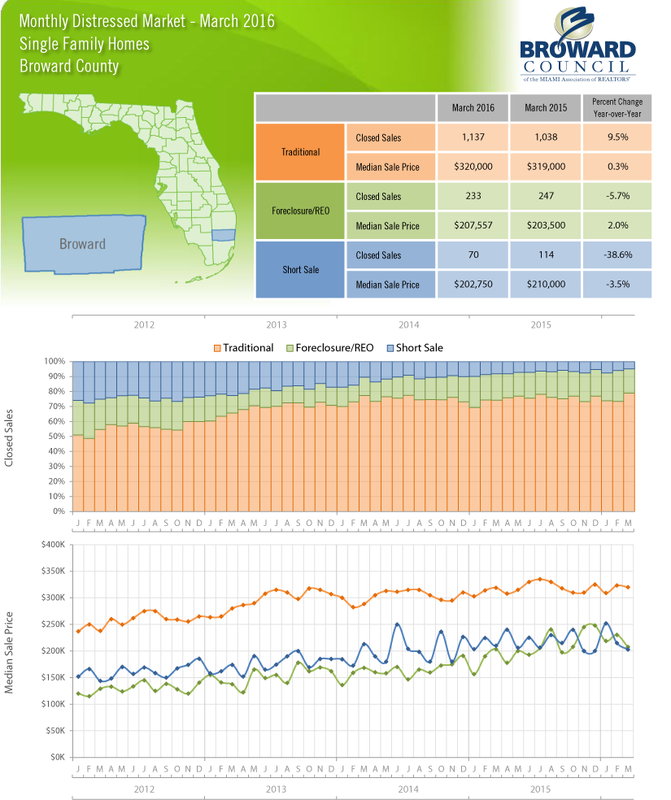 This entry was posted in News on April 15, 2016 by Realty Services Florida. • All lanes of I-75 northbound at Miramar Parkway will be closed from 11 p.m. Thursday, April 7 to 6 a.m. Friday, April 8. 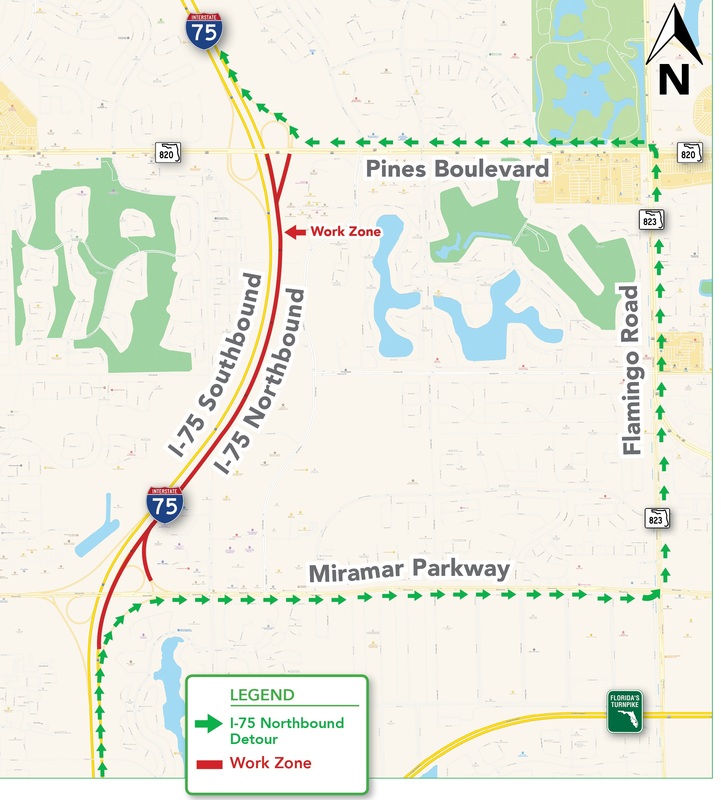 Motorists on I-75 northbound will exit at Miramar Parkway East (Exit 7A), continue east on Miramar Parkway to Flamingo Road, north on Flamingo Road to Pines Boulevard and west on Pines Boulevard to re-enter I-75 northbound. This entry was posted in News on April 6, 2016 by Realty Services Florida.